The anticipated release of Enfocus Requirements Suite, the robust, interactive requirements tool by Enfocus Solutions Inc., is here. Starting now, this software as a service is available at http://www.enfocussolutions.com, and business analysts, project managers and IT professionals can start exploring the resources, horsepower, and stakeholder input capabilities of this revolutionary new service. Enfocus Requirements Suite was strategically designed to allow for inclusive stakeholder involvement and collaboration, as well as greater transparency into business requirements. The Suite empowers stakeholders to input their user needs directly into the software, and lets IT developers translate those needs into actionable, traceable business requirements. 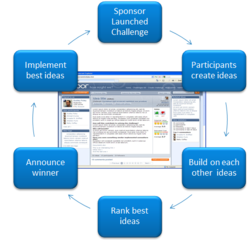 In addition, the tool comes with a feature not found in other online requirements management or development tools: an extensive variety of supporting resources, including requirements samples, templates, user persona examples, and self-help training materials that provide a foundation for project managers, business analysts, and CIOs to quickly document system requirements. The unique stakeholder collaboration component along with the resources and references are what sets Enfocus Requirements Suite apart from other services, says Enfocus Solutions Inc. CEO John Parker. Parker adds he is excited about the launch. Now business leaders will be able to use this tool in their own enterprises, creating more opportunities for innovation, greater project success, and more value to their bottom lines. Enfocus Requirements Suite can be used in both waterfall and agile development environments, and uses standardized language set forth by the APQC, the Business Analysts Body of Knowledge (BABOK), and the Business Process Management Body of Knowledge (BPM CBOK). The Suite is available in two pricing structures, with the Enterprise license providing access to videos by requirements expert Karl Wiegers, as well as eight hours of telephone consulting from Enfocus Solutions Inc.
Information on purchasing the Enfocus Requirements Suite is available at http://www.EnfocusSolutions.com. Enfocus Solutions Inc. helps businesses spur innovation, improve productivity, and cut costs by capturing, managing, and leveraging the systems requirements of their people, processes, and technology. A secure software as a service, the Enfocus Requirements Suite features user persona examples, best practice requirements, and requirements management training. Moreover, it is the only service available that lets stakeholders directly contribute to and collaborate on the requirements knowledgebase, using their own words. Enfocus Solutions Inc. is a privately held company headquartered in San Antonio, Texas. This entry was posted in Which Open Source Blog and tagged Deliver, Enfocus, Innovation, Live, Ready, Requirements, Suite on February 28, 2013 by Administrator. Many employees working in a non-innovative company want to improve their skills, increase their job satisfaction or set themselves up for that next promotion. Recognizing this need, author Joseph Stein is pleased to release Bottom-Up Innovation, an easy-to-follow book that has all the essential building blocks needed to identify, ideate, and solve a business challenge. Special sections unearth land mines employees need to watch out for as they unleash their creative and innovative potential and advice on how to steer through areas of the company that they have little or no control over. I believe that we all have at least a little bit of Steve Jobs in us, states author Joseph Stein. However, this innovative spirit may be deeply buried within us and needs help getting uncovered and turned on. On the flip side of the innovation coin, Top-Down Innovation addresses the desire of Company executives to create a lasting innovation environment in their Company. Many company executives recognize this need but dont have a full picture how to get there. Top-Down Innovation not only guides these executives down the innovation highway, it is their personal GPS loaded with the latest maps and details. Top-Down Innovation is for those companies who want to use innovation as a platform to maximize their profits and beat the competition. Joseph Stein commented, I often get asked why I combined these two books into one volume. There is a big difference between efforts to innovate in order to solve a specific business challenge (Bottom-Up Innovation) and efforts to create a lasting innovation environment in your company (Top-Down Innovation). It made a lot of sense to separate these two different but equally important components of innovation. Mr. Stein continued, At the same time, its important to understand both sides of innovation. Its like any team sport where you have an offense or defense. Even if you only play an offensive position, a great understanding of how defense works will make you a better player. Taking advantage of todays wealth of information, Bottom-Up and Top-Down Innovation includes references to many resources on the internet. E-book readers can enjoy the book in color and click on the many links in this book to get an enjoyable interactive experience. There are also over a dozen useful templates and spreadsheets available in the Helpful Resources section of the Simply Innovate website. Bottom-Up and Top-Down Innovation also includes Action Summaries for each chapter that lists specific steps you need to take to achieve innovation success. Available in paperback or in digital format at Amazon, Barnes & Noble and iBooks. Simply Innovate LLC is founded by Joseph Stein, author, entrepreneur and innovation expert and is focused on creating innovation products and services that empowers businesses, individuals and students to succeed. Find more about SI’s products and services at http://www.simplyinnovate.net. This entry was posted in Which Open Source Blog and tagged Book, Bottom, DoubleIssue, Innovation, Takes on February 22, 2013 by Administrator. 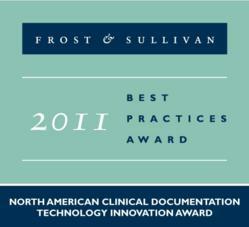 Praxis Electronic Medical Record has been awarded Frost & Sullivans prestigious annual award for Technology Innovation in Clinical Documentation. Praxis EMR v5 presents Datum, the first-ever tool to resolve the incompatibility between naturally-written text and concrete data. With Datum, it is now possible to embed discrete data into free text, as well as to pull data from free text. This is made possible by the Praxis DataMiner, the most powerful query engine in medicine. Praxis DataMiner allows users to query any information in the Praxis database or build their own queries. These query capabilities present limitless opportunities for research organizations and clinical studies. Praxis EMR is the only software that automates Meaningful Use and other third-party reporting initiatives. The clinical quality measures used to attest to Meaningful Use are built into Praxis EMR and are queried automatically. In other words, the structure of Praxis ensures that practitioners meet Pay for Performance, Meaningful Use, and other third-party reporting initiatives instantly and at the point of care. We were impressed by how the Praxis EMR has the ability to make the daily lives of doctors easier and more efficient, observed Frost & Sullivan analyst Nancy Fabozzi. Praxis facilitates engagement between doctors, patients, and EMR technology, making the practice of medicine more rewarding. Praxis is changing the way doctors practice medicine, said Dr. Richard Low, CEO and founder of Infor-Med Corporation, the maker of Praxis. The innovations in Praxis v5 have huge implications for the way doctors conduct research and attest to Meaningful Use. We are pleased that Frost & Sullivan continues to recognize our contributions to practicing physicians daily lives. The recipient of the Frost & Sullivan Award for Technology Innovation is selected after rigorous analysis of the leading companies in medical documentation. It is awarded to the company that best exhibits uniqueness of technology, impact on new products and functionality, impact on customer value, and innovation with relevance to the industry. This entry was posted in Which Open Source Blog and tagged Award, Clinical, Documentation, Frost, Innovation, Praxis, Sullivan, Wins on February 9, 2013 by Administrator. Industry questionnaires often reveal preferences and trends, but Business Integritys General Counsel Contract Automation and Management Survey of over 400 in-house lawyers spotlights something far more compelling: possibility. While in-house counsel are forced to produce an ever-increasing volume of higher-quality work with fewer resources than ever before, innovations that foster efficiency, including automated contracting initiatives, offer them the promise of focusing on higher-value substantive legal analysis. Our team conducted this survey in the fall of 2011 to determine whether counsel work with inbound or outbound non-disclosure, sales, licensing and other agreements as part of their traditional initiatives, and to gauge the volume of material that each produces annually. 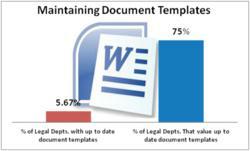 We also wanted to learn whether law departments use Word macros, templates, clause libraries, Web-based intake forms or software designed to create and manage contracts. The results were telling in that they showed a willingness by in-house leaders to study the weaknesses in their organizations and consider strategies to strengthen their processes. A few key themes emerged as well. Read more about each theme and our recommendations for action in the Metropolitan Corporate Counsel. This entry was posted in Which Open Source Blog and tagged Counsel, Department, InHouse, Innovation, Potential, Recently, Released, Reveals, Survey on January 26, 2013 by Administrator. The global seed accelerator SunBridge Global Ventures Inc. (Head office: Shibuya-Ku, Tokyo, Japan, President & CEO: Ikuo Hiraishi, henceforth SunBridge GV) and Venture Now, Inc. (Head office: Shibuya-ku, Tokyo, Japan, CEO: Yasushi Takeuchi, henceforth Venture Now), the media specialized on Internet venture companies, have announced that they will hold Innovation Weekend Grand Finale 2012 on December 4, 2012, at JIJI PRESS Hall in Tokyo, Japan. Innovation Weekend was launched to serve as a platform to develop global venture business originating from Japan. It discovers promising entrepreneurs and creates opportunities to raise seed money and to receive various kinds of supports by linking them and investors. It was started in May, 2011, through the efforts of three main individuals – Ikuo Hiraishi of SunBridge Corporation (at the time, currently SunBridge GV); Yasushi Takeuchi who has investigated and reported the venture industry in Japan since 1998; and Kiyoshi Nishikawa who restarted the Netage. Innovation Weekend Grand Finale 2012 will have rich and useful contents including presentations by successful entrepreneurs, venture capitalists and seed accelerators from Japan and overseas, and business plan contest by promising startups, as a culmination of quarterly held Innovation Weekend. Moreover, adding to the universal theme of Go Global!, a tagline Its not a joke!! is set this year. We hope all the people who participate in Innovation Weekend can absorb the valuable stories and knowledge shared by the remarkable challengers who try expanding their business on a global scale, and also sense the possibility of global challenge. Mr. Keith Teare will make a keynote on abundant stories about developing business on a global scale through the various positions as an incubator or as a serial entrepreneur. Previously he was co-founder of TechCrunch, and currently is CEO of just.me, a next generation SNS for coming mobile era born from Palo Alto based incubator “Archimedes Labs” established by him. Furthermore, more and more challengers who aim to develop their business on a global scale will share their experiences to the challengers to be. Mr. Ray Grieselhuber, CEO & Founder of Ginzamarkets, Inc., is an alumnus of Y-Combinator and 500 startups in Silicon Valley, and has an experience of starting a company in Japan. From Japan, Mr. Taku Harada, CEO of Peatix Inc., is steadily gearing up to develop their business in the USA with his very international team. In the pitch presentation part, being a feature of this event, the Grand Champion of Innovation Weekend 2012 will be chosen from the winners of quarterly held Innovation Weekend 2012, and the qualified public presenters. Ticket to international startup pitch contest held in Silicon Valley will be given to the grand champion by the organizers. We hope that more and more people feel through this event that global expansion is a feasible dream that comes true. Thus, we will keep supporting and contributing to the activities that increase the population of global challengers. Organizer:SunBridge Global Ventures Inc./Venture Now, Inc. This entry was posted in Which Open Source Blog and tagged 2012The, Challenge, Entrepreneurs, Finale, Grand, Held, Innovation, Market, Platform, SunBridge, Support, Tokyo, Venture, Weekend, World on January 13, 2013 by Administrator. FitForCommerce, a leading e-commerce consulting firm, together with Lyons Consulting Group, an e-commerce design and integration firm, offered retailers actionable advice on defining business and technical requirements and assessing e-commerce providers and their solutions. During the live webinar, Jamie Kail, Director of eCommerce Services at Lyons, shared lessons learned in selecting, implementing and supporting e-commerce solutions. Bernardine Wu, FitForCommerce’s Founder and CEO, presented an “E-commerce Diligence” methodology and specific ways to avoid costly mistakes in platform selection. This entry was posted in Which Open Source Blog and tagged Cited, eCommerce, Fifty, Innovation, Lack, Months, Next, Online, Percent, Plan, Platforms, Reason, Replace, Retailers on December 30, 2012 by Administrator.